I love detail shots. When you get in super close to something you see less of what it is and your mind is left to work it out. That makes it intriguing. 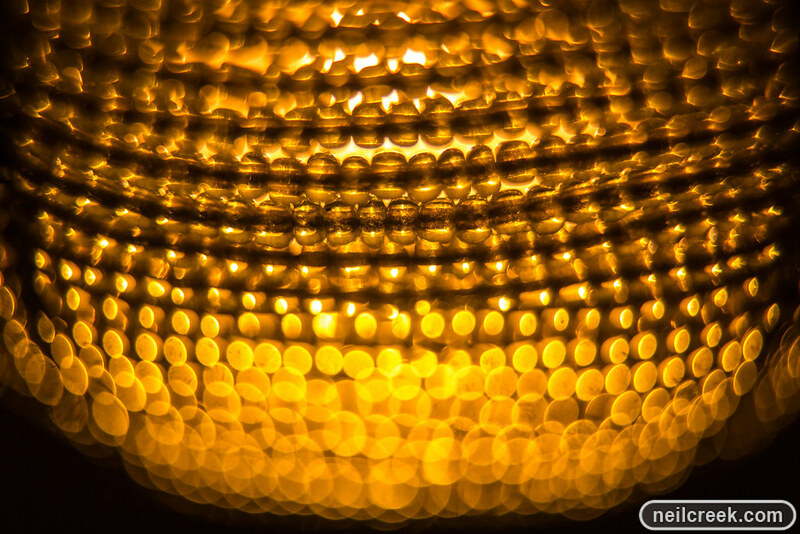 This is a tealight candle shade made of hundreds of tiny glass beads.I shot this with a deliberately narrow depth of field to create some beautiful bokeh on the reflected light. 1/4sec f2.8 ISO100 70mm focal length with 40mm macro extension.